With just a few ingredients and a little time, you can easily corn any meat. One day, I was doing some random searching on wild game meals. I came across a recipe for corned venison. Venison corned beef? Mind. Blown. You can CORN venison?! 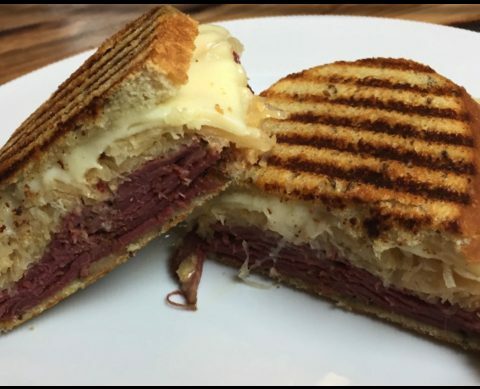 I LOVE corned beef, so I had to try it out. 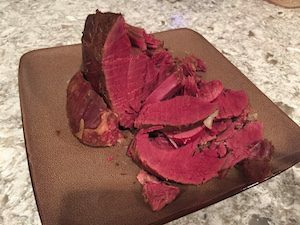 I’ve corned MANY venison roasts, and learned a few things along the way. Once you corn it (soak it in a brine solution for a few days to a few weeks), there are two main ways to can prepare it. Boil/braise it and you have your classic corned “beef”. Coat it with various seasonings and throw it in a smoker, and you have pastrami. Yup, they are the same thing up till you get to the cooking part. One more great thing about corning, it will remove the gamey flavor. Guaranteed. 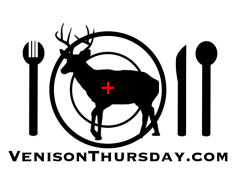 Keep in mind, I’m a firm believer in deer NOT being gamey unless mishandled during the shot, dressing, or processing. But sometimes mistakes happen. Here I’ll cover the basic brining, and I’ll cover the magical transformation to the end pastrami/corned beast in other posts. This may seem like a lot of work to some people, but in the end, there’s about 15 minutes of prep time, then a lot of letting time do it’s thing. 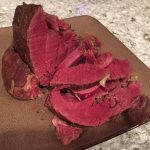 The Sirloin Tip is a great choice for corning your venison. You can corn ANY cut of venison, however, it may be considered a crime if your corn the loins/tenderloins. Corning is brining. Brining is taking a tough cut of meat, chemically assaulting it, and turning it into something tasty that you can actually chew. 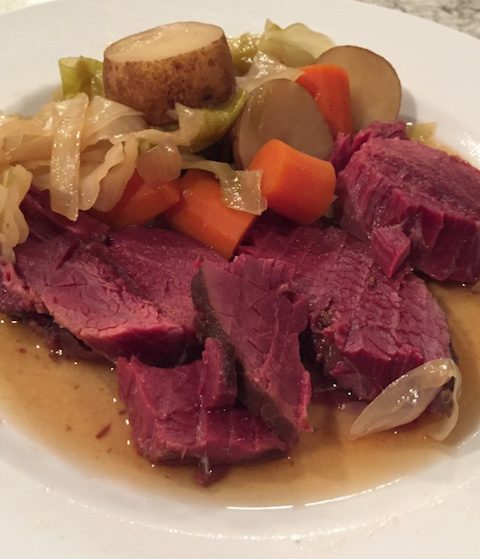 You’ve heard of corned beef brisket. You have NOT heard of beef brisket steak. Hopefully. Now, the final cooking method will have just as much to do with the tenderness, this is the starting point. Venison brisket is just too small. Same for shoulder roasts – I want to be able to slice the end product thin and make a sandwich. So, hind quarters it is. 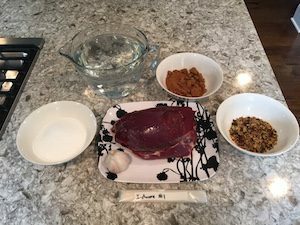 I like to use the sirloin tip or the combination of the rump roast muscles: top round, bottom round, eye of round (all 3 can be kept together, but I often separate them). 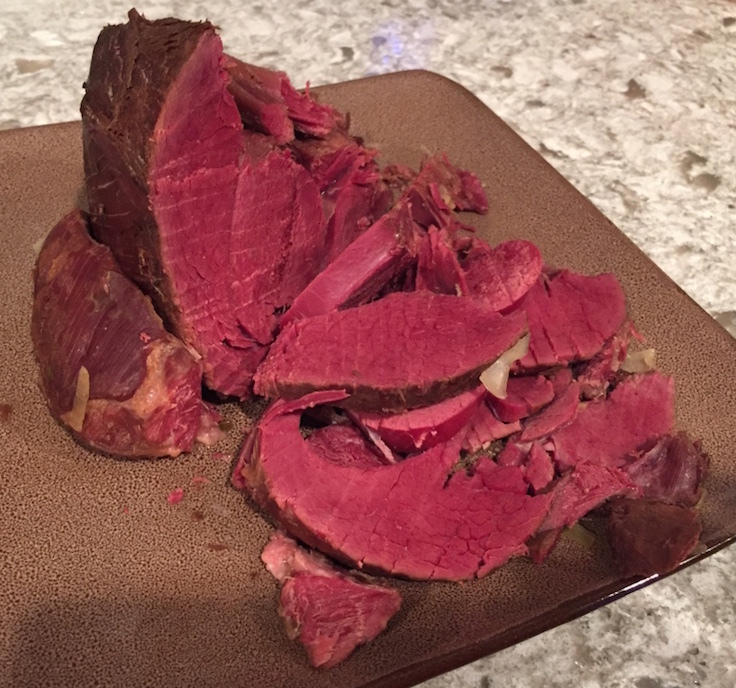 The sirloin tip is a nice small football shape, and will not have any connective tissue in it – great for clean looking sandwich slicing. The rump roast is bigger in comparison, so even bigger slices of meat can be had. It also has a bit of grizzle in it, but nothing that is a deal breaker. It does NOT taste gamy – the fibers are just chewy. I’ll usually just pull out any obnoxious chunks when I actually make my sandwich. 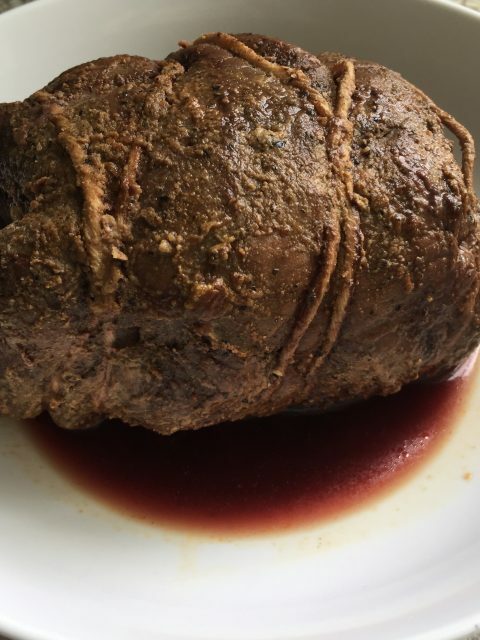 An up to 5 lb venison roast. Double the recipe for larger cuts. Put everything except the venison in a pot. Bring it to a boil to get the sugar and salt to dissolve. Remove from heat and let cool to room temperature. Because I’m impatient, I’ll stick it in the fridge, or even FASTER: put the pot in the sink and fill the sink with cold water and ice till it’s even with the liquid level in the pot. Once it’s cool, find a container that can hold the roast and enough brine to keep it submerged. I prefer a larger plastic container, something that can hold up to a gallon is usually perfect, like this dough/brining bucket. But having a a 6 quart or bigger container is good if you generally do larger roasts, or more roasts. You want something plastic or enameled, not metallic. Put the roast in with the brine, make sure it’s covered, and put it in the fridge. Use a small plate on top of your roast to keep it submerged. If your wife (or husband!) doesn’t want you sticking a plate in there, fill a ziploc bag with water and put that on top of it. Now the tricky part: timing. You need to keep it in the brine long enough for the salt/sodium nitrite to permeate the whole roast. If you take it out too soon, it’s not a problem – the flavor just may not be as strong, and you may end up with some brown sections in the middle when you cook it. The sodium nitrate keeps the meat a nice pink color. Where it doesn’t get to will just be the natural brown of cooked venison. To keep it easy, I brine my corned venison for two weeks. No more, no less. And it comes out perfect every time. Yes, it’s overkill for small roasts, but I like not needing to guess if it’s ready. If you go with a roast bigger than 5 lbs, you may need to adjust longer. Stick with 5 lbs or less if you want easy consistency. Swirl or stir the container everyday it’s in the fridge to ensure good spice/salt concentrations. Take it out and rinse it thoroughly after the appropriate number of days. Don’t leave any spices on. Discard the brine – do not reuse it. That’s all there is to it! From here, you can follow your normal corned beef or pastrami recipe. You can use this recipe on ANY meat. Corned goose breast? Corned beef? Sure, it is easy, and it works.